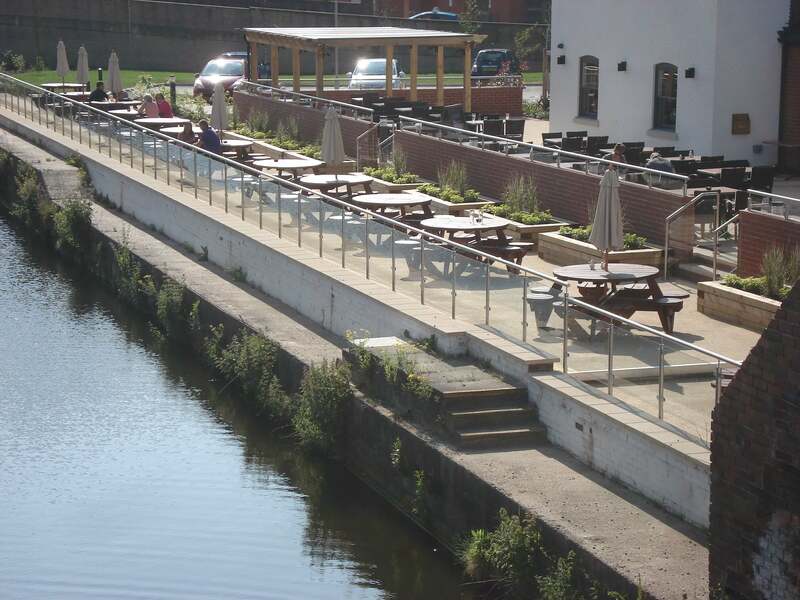 Sentinel is a stainless steel balustrade system with a range of handrail and infill panel options. 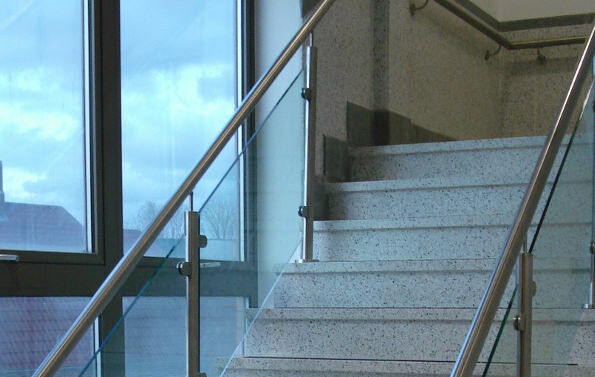 The stylish components based system can be installed with a variety of contemporary infill solutions including glass, perforated metal sheet, stainless steel or powder-coated rails, stainless steel wire or to a bespoke design. 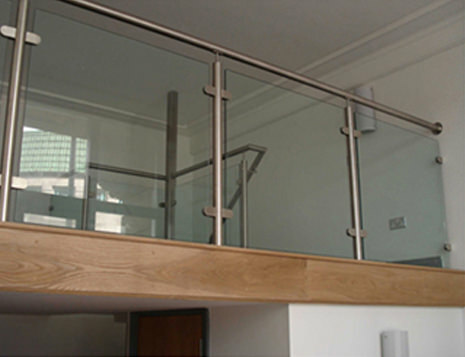 The Sentinel stainless steel balustrades have been designed with a range product finishes available. These include bright or satin polished. 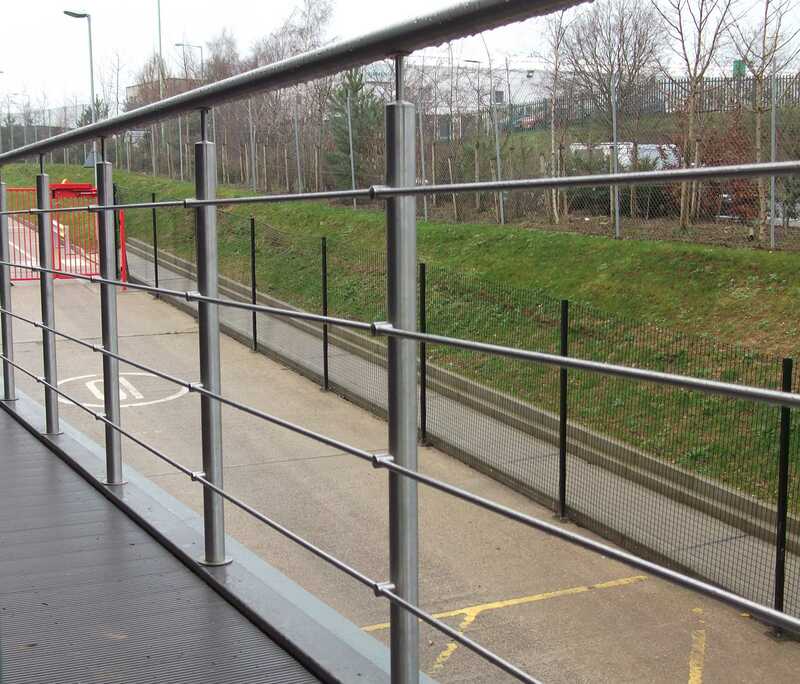 The Sentinel stainless steel balustrade is suitable for many applications depending on the handrail that may be required. 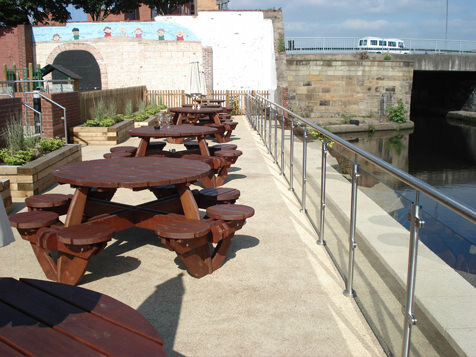 It is perfect for a wide variety of commercial environments, where a regal, yet durable look is required. 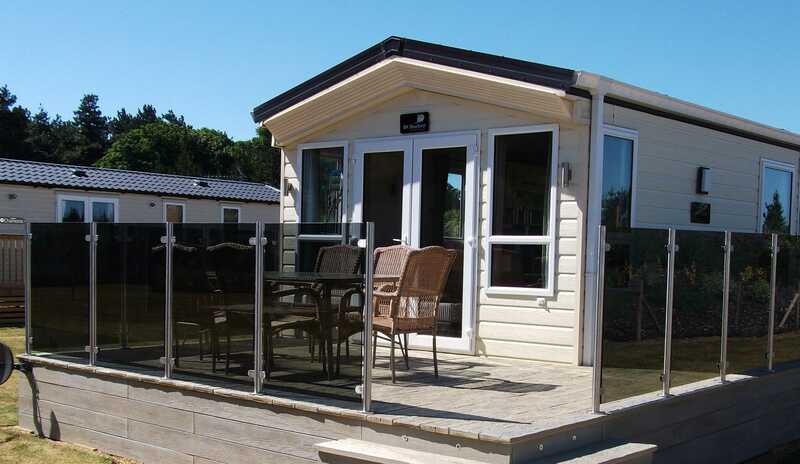 It is also a sterling choice for domestic settings and balconies. 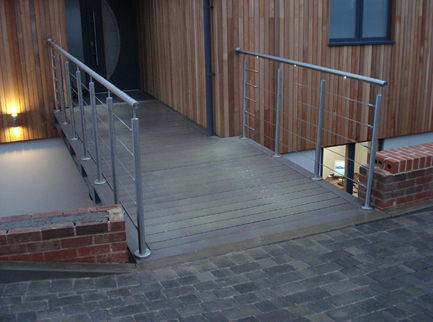 A SteriTouch additive can be added to the handrail coating. This anti microbial additive provides an effective barrier against bacteria and hand borne germs such as MRSA, Ecoli and Salmonella. This protection is becoming increasingly demanded by specifiers and facilities managers working within heavily trafficked areas such as healthcare environments. 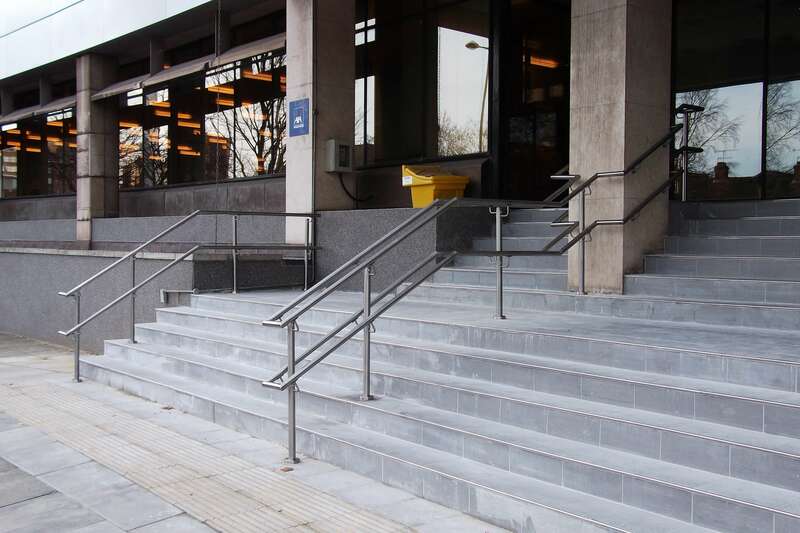 When the “SteriTouch” antimicrobial powder coating is applied, Sentinel stainless steel handrails are ideal any application where hygiene is importan. Handrail: – is either 42mm or 48mm finished diameter stainless steel grade 304 or 316, and can incorporate LED lights(Illumine). However, PVC sleeved (Stargard), timber (Coppice), Brass (Citadel) are also available. Balusters (posts): – are stainless steel grade 304 or 316 with a finished diameter of 48mm. 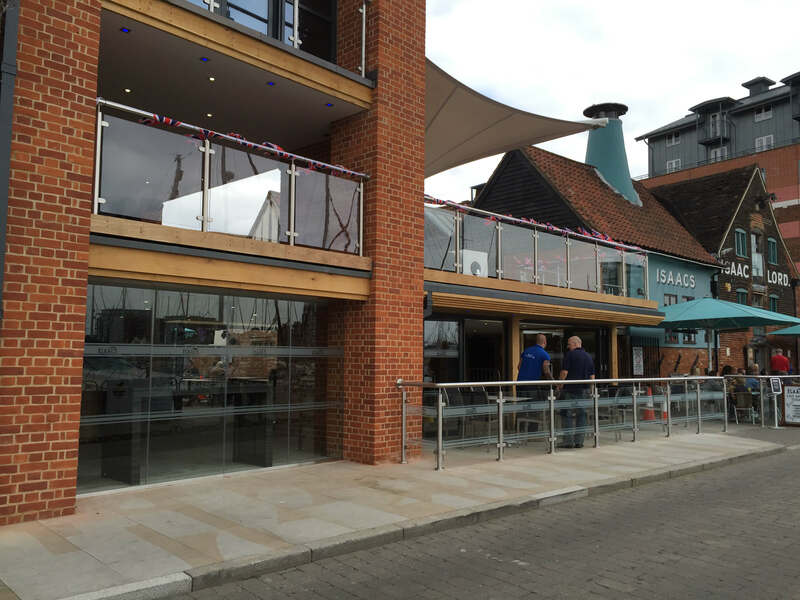 Infill panels: – a choice of glass, perforated metal sheet, stainless steel or powder coated mid / running rails, stainless steel wire or to a bespoke design. Fittings: – base plates, handrail brackets, glass brackets are all stainless steel. Surface Finish: – bright or satin polish. 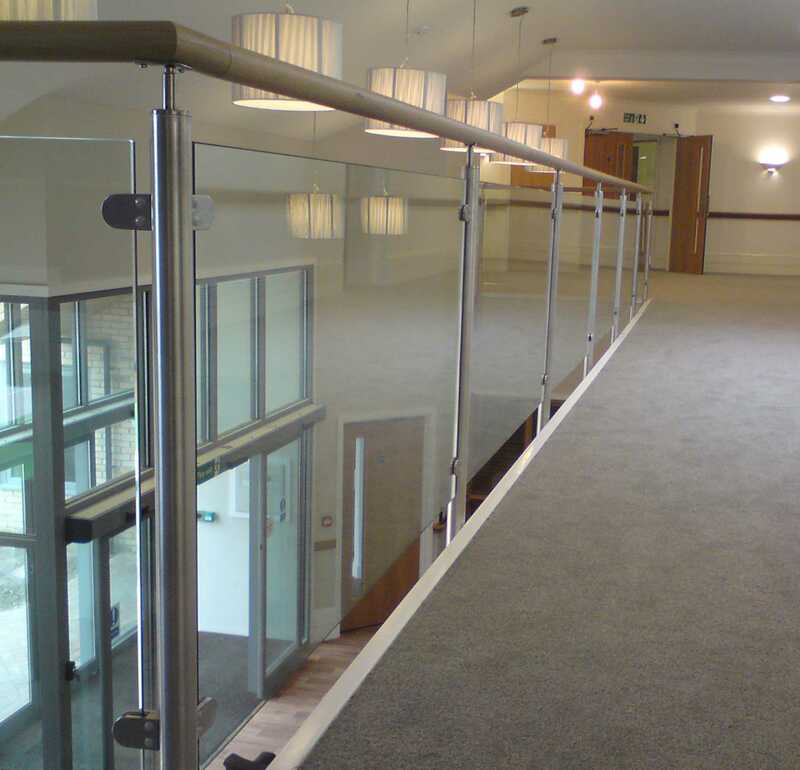 Sentinel stainless steel balustrades are perfectly suited to commercial environments. Some domestic projects may also require the durable and contemporary nature of Sentinel. 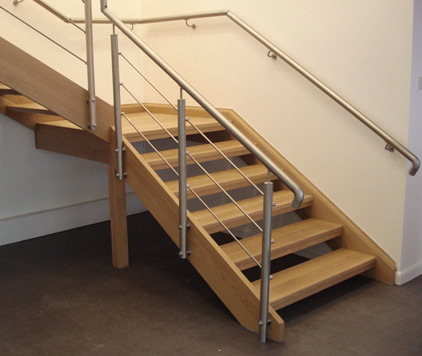 For more information on our Stainless Steel handrail systems visit the Stronghold page. 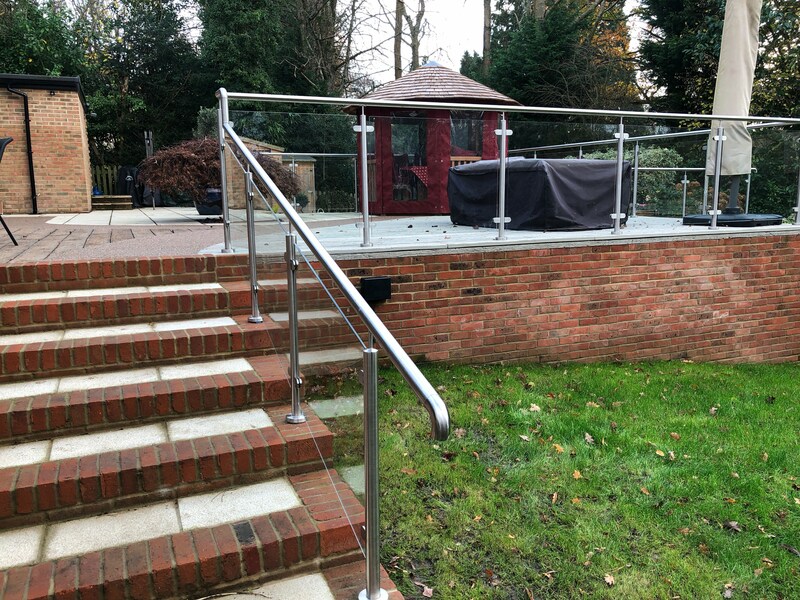 This stainless steel handrail and balustrade system is available with LED Inserts, find out more about our Illumine Range here. 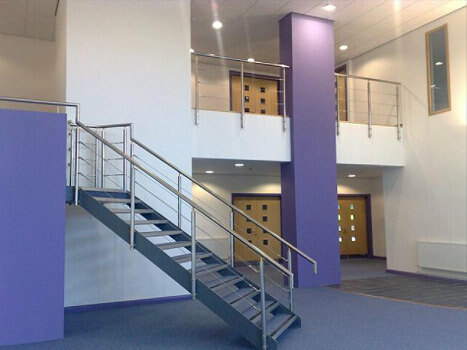 Also visit the Education Sector page, which has information and suggestions on this Sentinel stainless steel balustrade and handrail system.